Identifying whether your skin is COOL or WARM is the first major step towards appreciating and enjoying Color. 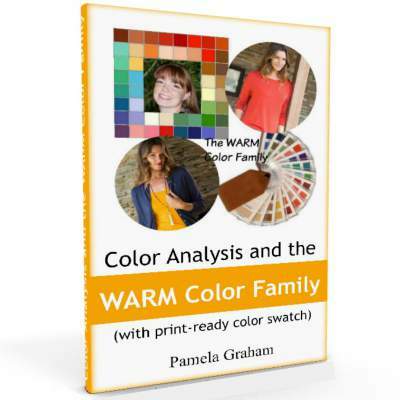 Designed as stand-alone books they both include a brief walk-through a simplistic explanation of how and why Color Analysis works before expanding into the different directions. 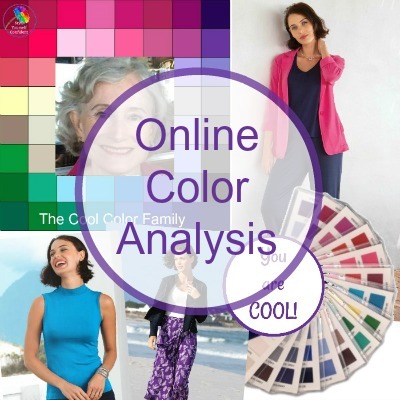 'Color Analysis and the COOL Color Family' majors on the Cool Color Family but it offers plenty of inspiration if you've been determined a Summer, a Winter or even if you just know that your skin tone is Cool. 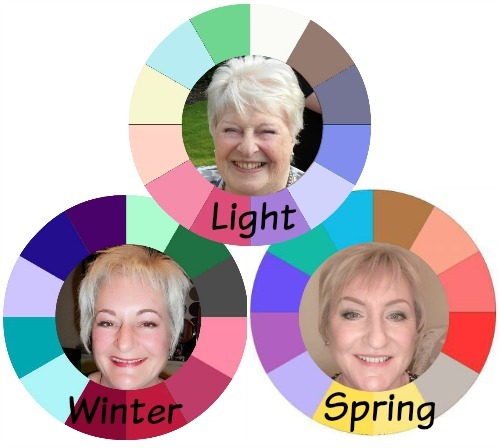 Likewise, although 'Color Analysis and the WARM Color Family' majors on the Warm Color Family there's plenty that would relate to a Spring, an Autumn or even if you just know that your skin tone is Warm. 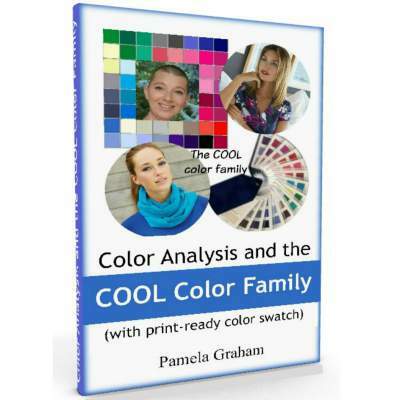 I'd like to extend a big thank you to the ladies who kindly reviewed the books in advance of publishing and to the ladies whose Color Analysis photographs I've been permitted to use - I hope I've done you justice. On the front of the Cool book is Veianna from California, whose striking looks I've been delighted to include on the website already. On the front of the Warm book is Vanessa from Tennessee who farms goats and produces goats' milk products - with an incredible complexion to show for it! Style Question? 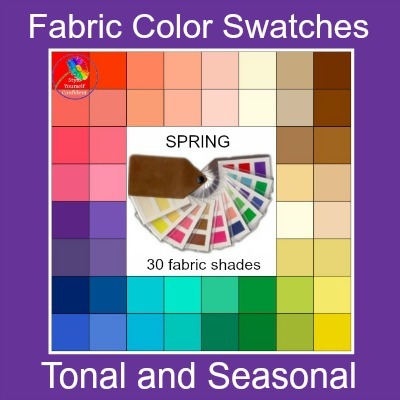 Does a tan change your Season? This month's QUESTION: I thought about this today as I was out in the sun for the first time this year and got a bit sun burnt. As I'm Light does that still hold true if I get a bit of a tan? I like my light skin but sometimes being outside for a short time turns me either red or light tan. When I knew Louise and Julia were twins I had to be persuaded to do a Color Analysis on the second one because I expected them to be the same! However, Louise and Julia appear to be fraternal twins which means they have many similarities just like siblings but, in this case, their coloring is different. While Louise has Spring coloring, Julia is at the opposite end of the spectrum as a Winter. There is though a BIG connection here as both ladies share the BRIGHT color palette - just that one is light and one is deep. After a little research I found that identical twins do have subtle differences such as fingerprints; different coloring is unusual but not unknown! Then I was introduced to Mum Maureen and, again, we all expected colors to be very similar. Maureen, however, shows how skin tone does lose a little color pigment as we get older and what was probably originally Spring coloring has settled just a little into Light. This actually provides her with more colors as she can happily wear the light tones of both Cool and Warm. Thank you ladies - it was a privilege! 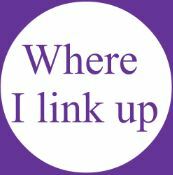 Like to know more? 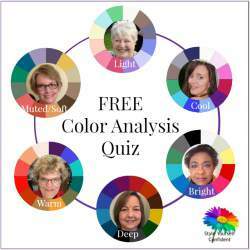 go to Online Color Analysis.